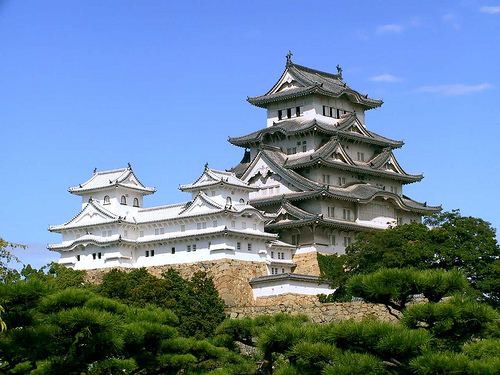 Himeji Castle, nicknamed the “White Heron Castle” is a beautiful Japanese traditional castle located Himeji in Hyogo Prefecture. It is one of the “Japanese Three Famous Castles” along with Matsumoto Castle and Kumamoto Castle. Since Himeji Castle was built in 1333, the architecture has been well maintained; therefore, it is a good demonstrative architecture of that era. Himeji Castle is listed in the World Heritage Sites by The United Nations Educational, Scientific and Cultural Organization (UNESCO). You can’t live in the castle but you can visit there!! If you have a chance to visit west Japan, I recommend you to see the castle!